Alphabetical list of databases at the MCC Library. To access any database in this column off campus, you will need your myMCC LOGIN. Your myMCC login username and password is available on www.mchenry.edu/myMCC, by clicking on the link "What's my username or password?" The world's most comprehensive resource for automotive diagnostic and repair information. Artemis brings together all Gale literature related content in a single interface with great features that can save you time. Index of over 2,700 Latin American journals in the sciences and humanities. The Criminal Justice and Public Safety in Video provides a collection of documentaries, training videos, and interviews illustrating the strategies, techniques, and experiences of professionals serving on the front lines of justice and public safety. Alexander Street Anthropology brings together a wide range of streaming video, written ethnographies, field notes, seminal texts, memoirs, and contemporary studies, covering human behavior the world over. Directories on companies, publishers, associations, and more. Includes Business Rankings Annual and Market Share Reporter. Full-text magazines, reference books, and primary source documents covering a wide range of subject areas. Authoritative medical information on medicine, nursing, dentistry, veterinary medicine, the health care system, pre-clinical sciences, and much more. Contains little full-text. OT Search is not a full-text database. Use it to identify sources in the field of occupational therapy. Use the Journal List from the library web page or ask a librarian to assist in determining the full-text availablity of the document. Index of seven million conference papers. Index of conference proceedings, with each record containing a list of presented papers. 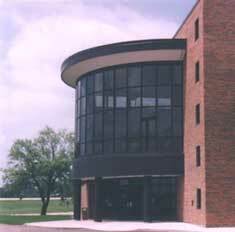 McHenry County College's online collection for careers, health, history and literature. Sanborn Maps of Illinois, 1867-1970. Sanborn maps were originally created to help fire insurance companies determine the risks associated with insuring properties. These large-scale maps were drawn at a scale of 50 feet to an inch. Because the maps were created over a century, they are useful in charting the development of cities and towns over many years. AVAILABLE ONLY ON CAMPUS. Automotive repair information system that includes information on repairs, diagnostics, maintenance, wiring diagrams, and expert tips.